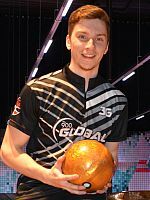 Gaëtan Mouveroux of France averaged almost 250 in the finals of the Hammer Bronzen Schietspoel Tournament 2018 to his first European Bowling Tour title and the 6.000 Euro top prize. 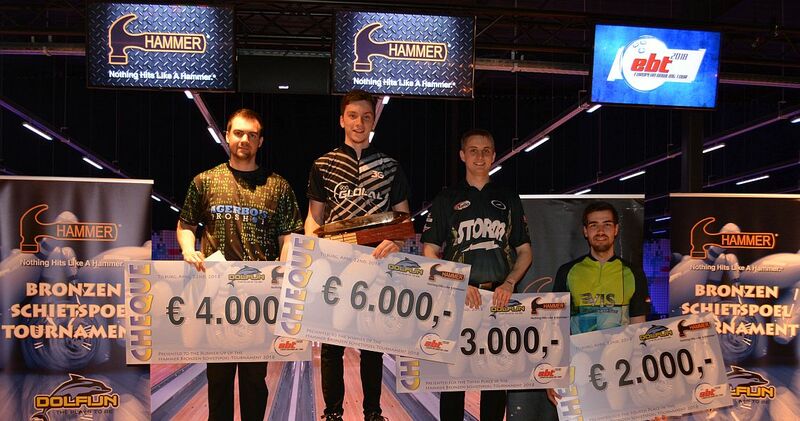 In the final eliminator round, Mouveroux (right) posted games of 238 and 256 for 494 two-game total to beat out Dan Østergaard-Poulsen of Denmark for first place by four pins. Østergaard-Poulsen, was also looking for his first EBT title, rolled games of 247 and 243, but had to settle for second place with 490. He received 4.000 Euro. 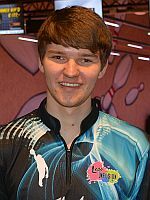 Four-time EBT champion and 2016 Men’s Point Ranking leader, Richard Teece of England and one-time titlist Jeroen van Geel, Netherlands, could not keep up with Mouveroux and Østergaard-Poulsen, finishing in third and fourth place with 406 and 390, respectively, worth 3.000 and 2.000 Euro. Featured photo from left to right: Dan Østergaard-Poulsen (2nd), champion Gaëtan Mouveroux, Richard Teece (3rd) and Jeroen van Geel (4th). Forty of the 206 players, 156 men and 50 women, from 18 countries advanced to the finals with the top 4 qualifiers (Tobias Börding, Germany, pictured left; Van Geel; Teece and Mik Stampe, Denmark) missing the first-six game round. Ostergaard-Poulsen (1503) and Julien Sermand of France led the top 12 into the eliminator finals with Mouveroux in fourth place on 1450. 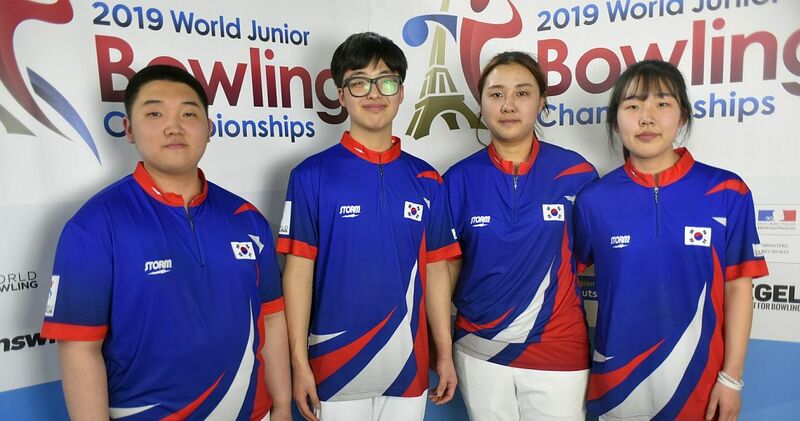 The round was highlighted by three perfect games from Ramon Hilferink, Netherlands; Sami Konsteri of Finland and Yorick van Deutekom, Netherlands, who brought the total number of 300 games to 7. 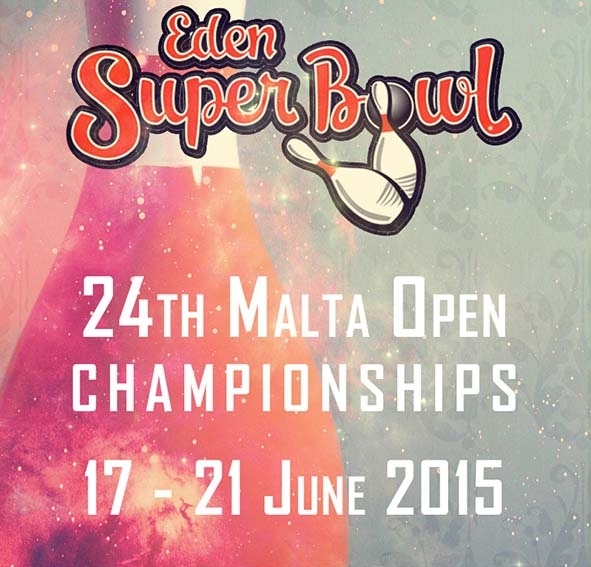 Mattias Wetterberg of Sweden beat out Konsteri for the last place to advance by one pin, 1400-1399. Cajsa Wegner (right) of Sweden was the lone woman who made the cut to the eliminator finals. She eventually finished in 11th place to win the women’s ranking in Tilburg. 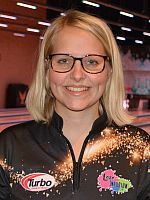 In the three eliminator rounds in two-games, total pins format, Mouveroux averaged 256.67 including sets of 512, 534 and 494, while Ostergaard-Poulsen turned in a consistent performance – 470, 481 and 490 – for an average of 240.17. 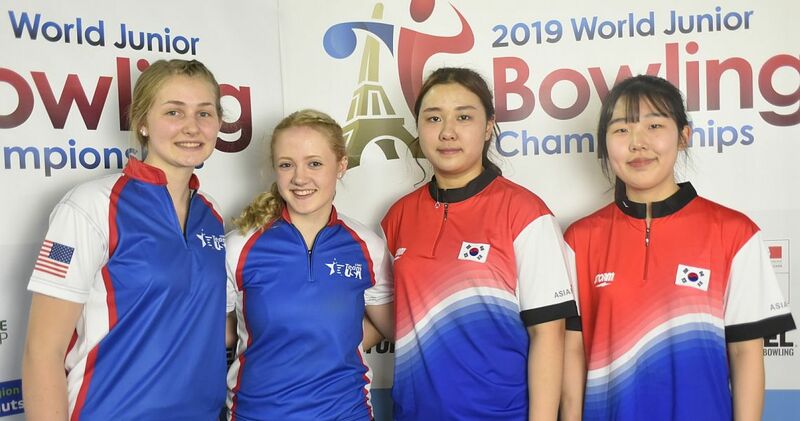 The Hammer Bronzen Schietspoel Tournament 2018 was the fifth stop on the 2018 European Bowling Tour and the second of three EBT “Silver” events this season, the middle of the five EBT tournament categories (platinum, gold, silver, bronze and satellite). 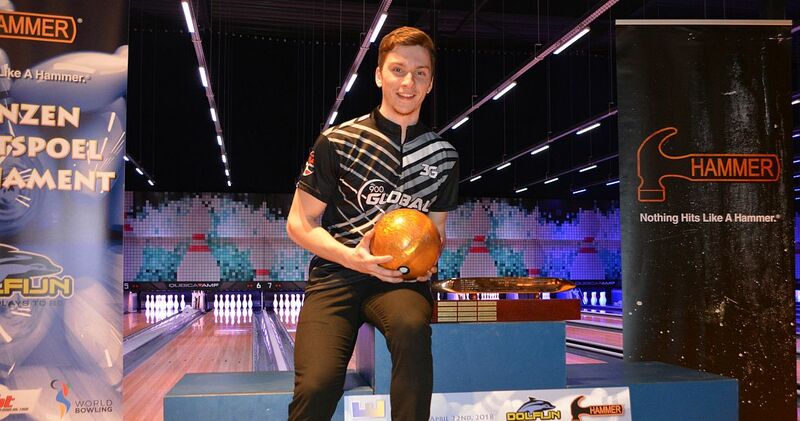 It marked the return, after a one-year hiatus, of the HBST to Dolfijn Bowling in Tilburg, Netherlands, which burned down two weeks after the 2016 HBST. The new 24-lane bowling center, now called “Dolfijn | The Plays To Be”, hosted the 2018 edition from April 15 to 22. Players competed for total prize fund of 45.750 Euro with 6.000 Euro going to the winner, 4.000 Euro to the first runner-up while the third and fourth place finishers took home 3.000 and 2.000 Euro, respectively. Low to cash was 40th place, worth 500 Euro. 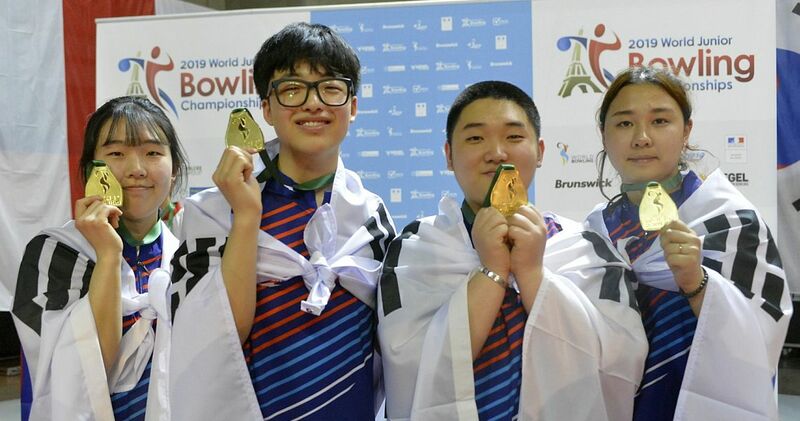 Qualifying ran from April 15 to 21 and concluded with the ultimate one-game Desperado Squad. Total 40 players qualified for the finals on Sunday, April 22, including the top 30 in the overall qualifying standings, the top 6 from a separate leaderboard of the squads conducted April 15-17, and the top 4 of the Desperado Squad. 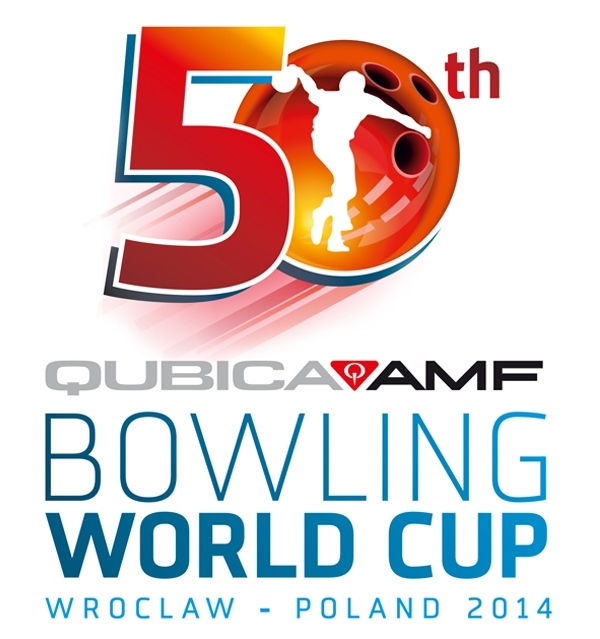 The top 4 qualifiers received a first-round bye. 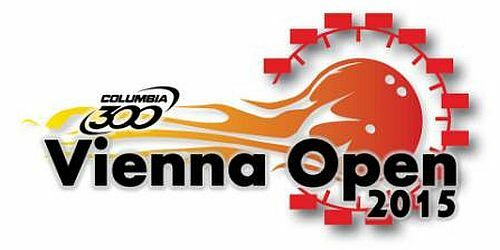 The other 36 players bowled six games from scratch to cut to the top 12 (seeded 5-16) who joined the top 4 qualifiers (seeded 1-4) in the eliminator finals. Those 16 players were divided into four groups of four players each for the first of three eliminator rounds. 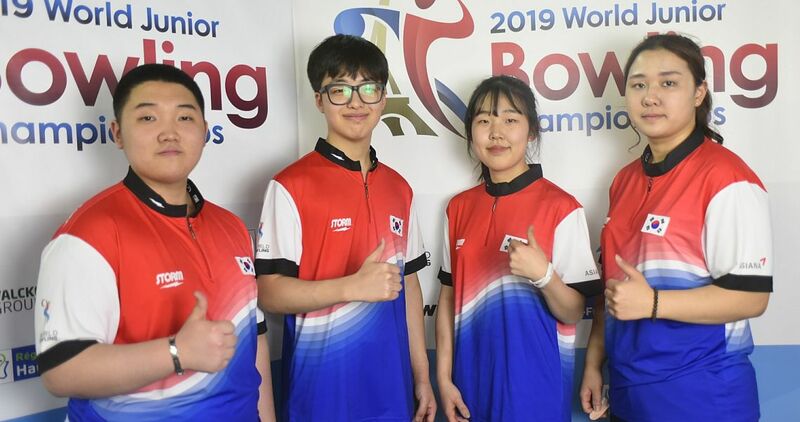 All four players of each group bowled a two-game match with the two lowest scoring players eliminated. The two highest scoring players advanced to the next round. The field was cut to 8 players (2 groups) and then four players (1 group), who determined the top 4 places in the last eliminator round. 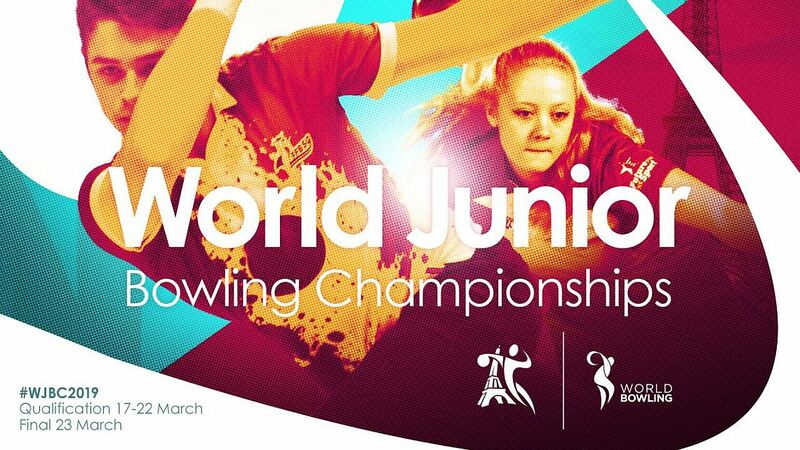 , an EBT bronze tournament, which will be held at Bowling Chamartín from July 1 to 8, 2018. Top 12 advance to the eliminator finals. 300 games (3) – Ramon Hilferink, Sami Konsteri, Yorick van Deutekom.